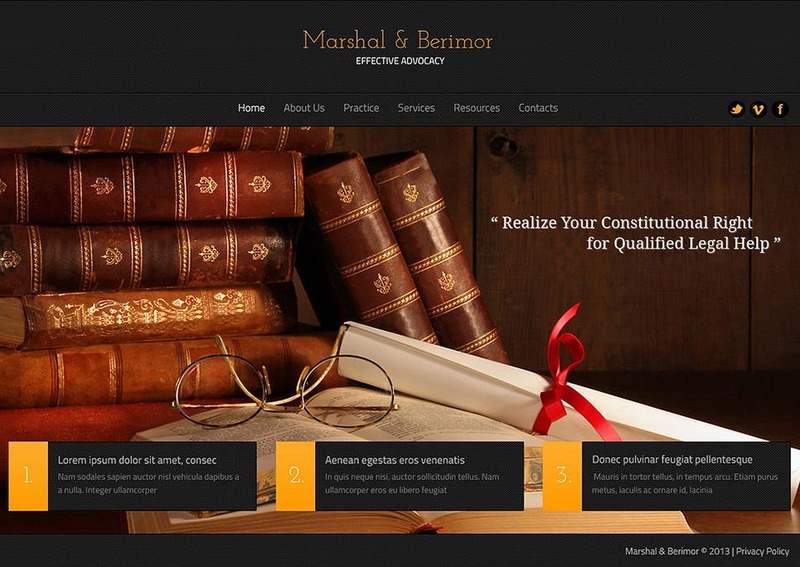 These templates are best for lawyers, judges and other judicial heads and services. Not only do they come in various styles and colors, they offer certain features which are totally free and stylish. 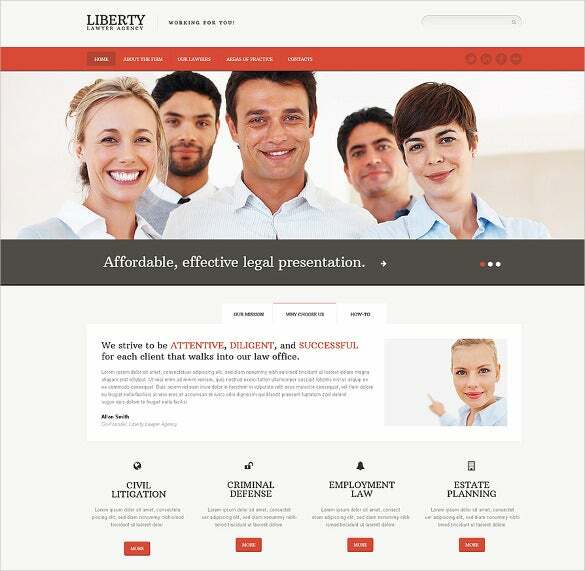 Update your client list, manage your contact numbers or just put up a picture of your firm – anything is possible with these premium website templates for law firms.you may see Joomla Lawyers & Legal Advisers Themes. 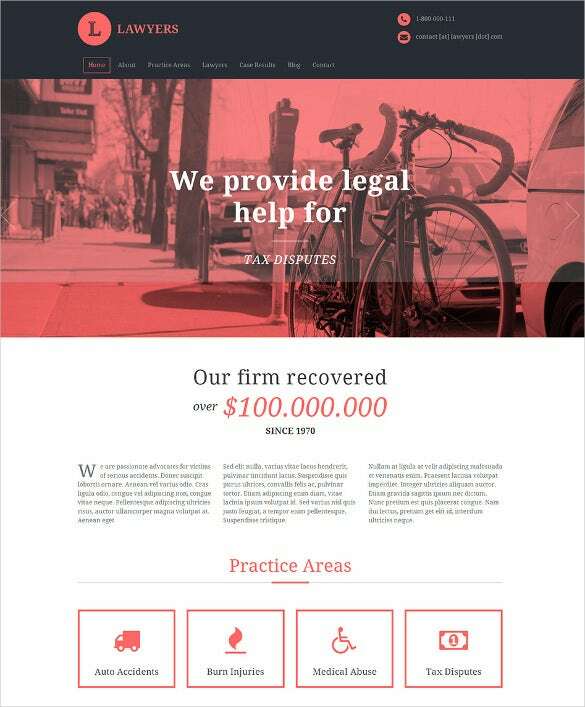 Law firm responsive website template is designed creatively with Bootstrap and includes HTML plus JS animations. 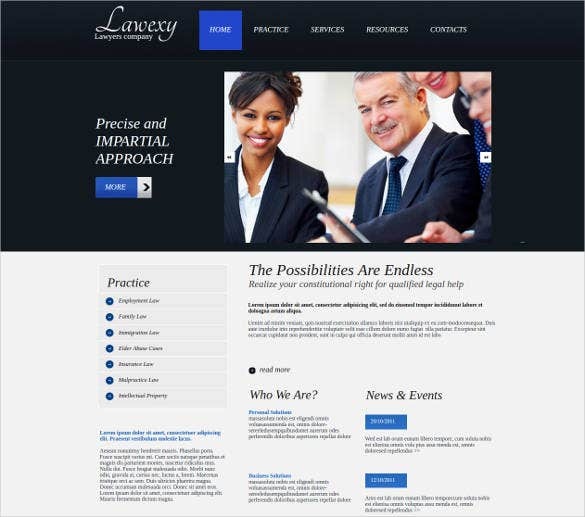 The theme is well suited for lawyers, financial advisors, consultants etc. It features grid system with contact and search form, responsive design, crossbrowser compatibility, dropdown menu, Favicon, Google map, Google Web fonts and much more. 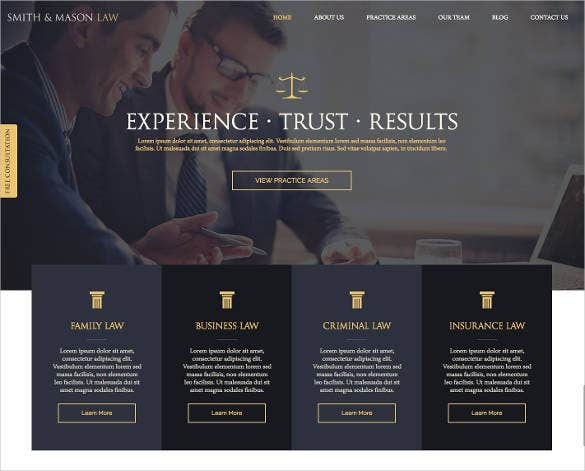 Law lawyer business WordPress website theme is a beautiful multipurpose template that can be used to create websites for lawyers, legal advisors, consultancy services etc. This theme works well on all modern browsers and is compatible with WPML. It comes with built-in shortcode manager and demo data installer to help you setup your website easily. 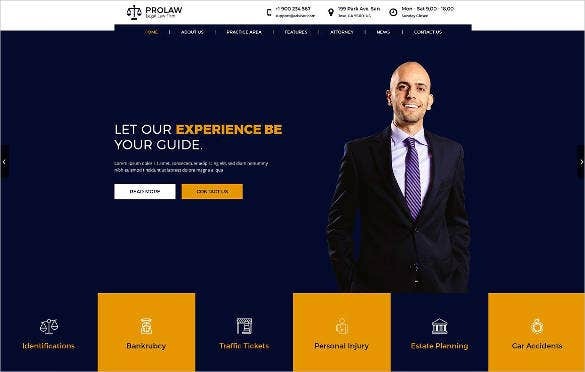 Premium law firm website template can take your website to the next level with a very elegant design, HTML plus JS animation, sliced PSD, crossbrowser compatibility, dropdown menu, Favicon, Google map, Google Web fonts, grid system and a clean organized HTML5 coding styled with CSS3. 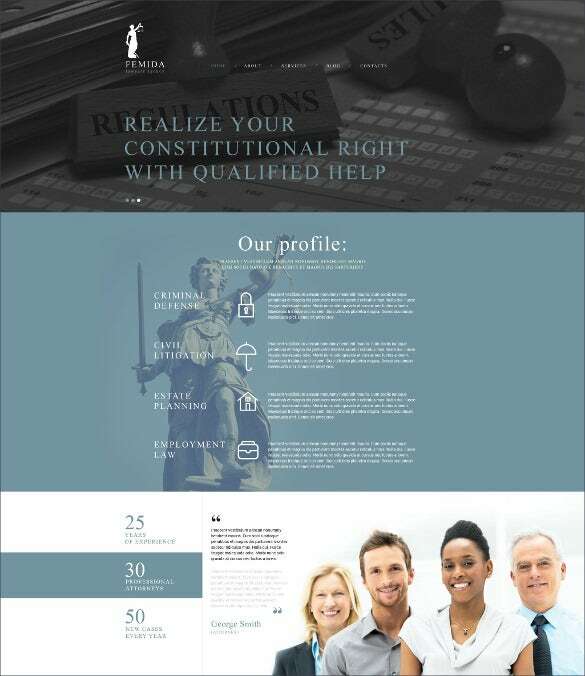 This template is well suited for corporate law, real estate, personal lawyers etc. 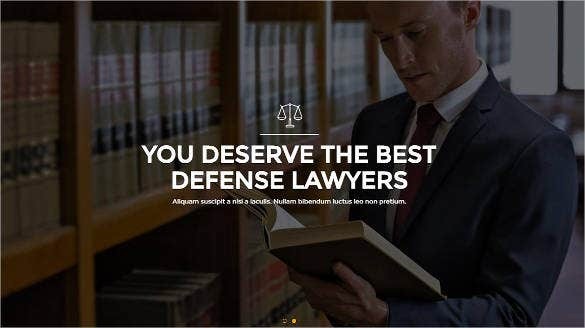 Lawyers and business website template is the right theme for you, if you are looking for a simple and effective theme for lawyers, financers, corporate etc. with extensive documentation. 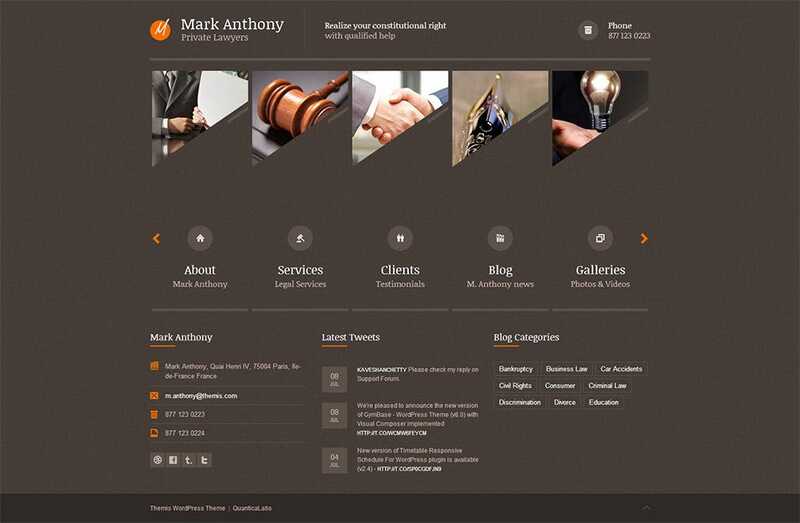 It comes with easy to use editor, fully responsive design, unique layout, background slideshow, custom team page, contact page with Google maps integration and much more. Download now! 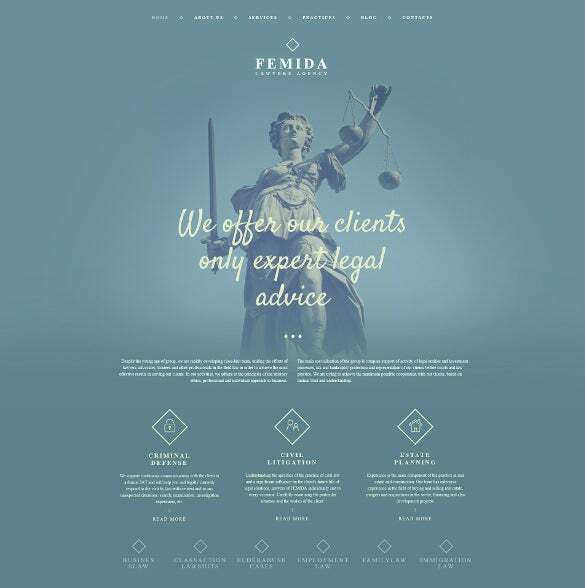 Build on the familiar Bootstrap framework elegant lawyers WordPress website theme is a ready to use and easily customizable theme designed professionally with an elegant font for law companies, attorneys, legal offices etc. 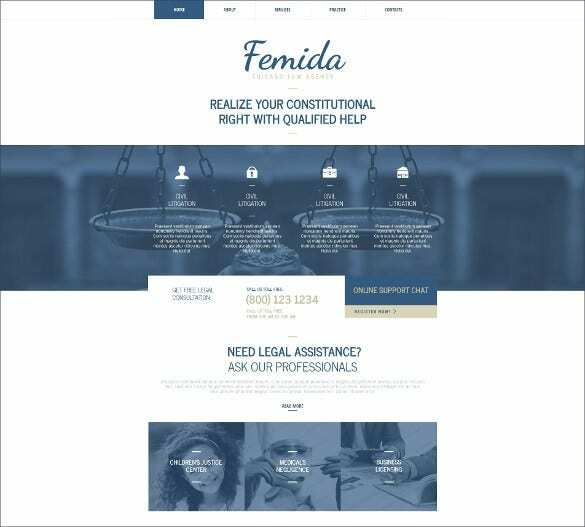 It comes with a fully responsive design, 12 custom page templates, contact form widgets, footer display options, various color schemes etc. and is well documented. 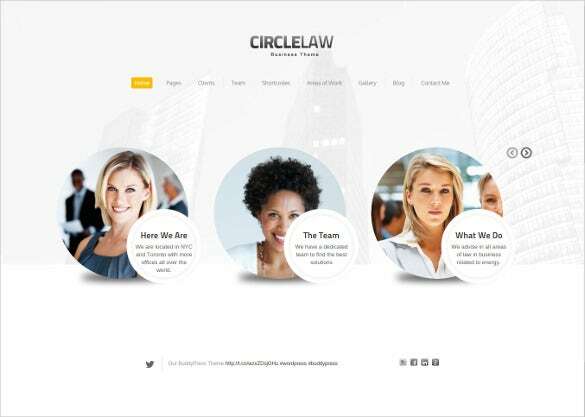 Simple law firm website template is crafted with care to include awesome features like sliced PSD, crossbrowser compatibility, dropdown menu, Favicon, Google map, Google web fonts, completely JS animation and much more with HTML5 coding. 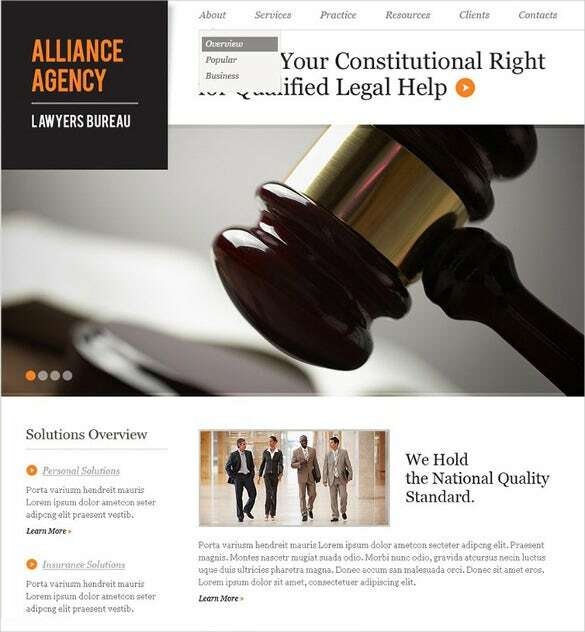 It is a perfect choice for advocates, legal advisers, law companies, attorneys etc. Download now! 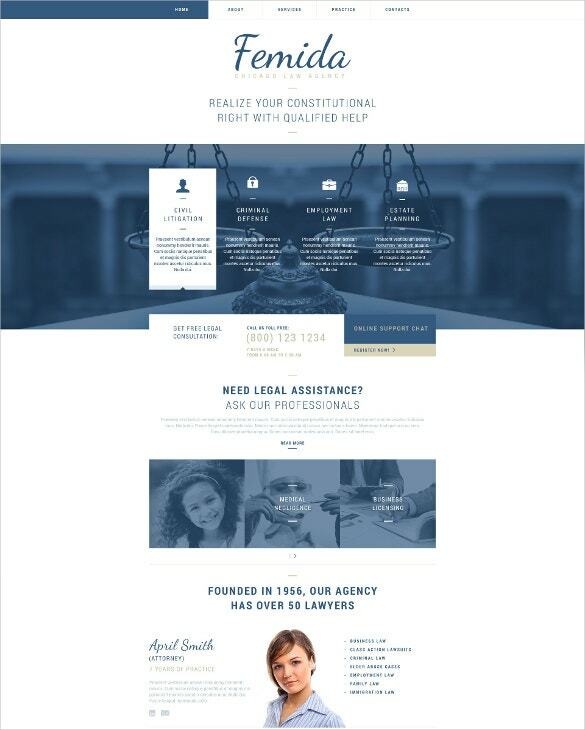 ONELAW one page template for lawyers is a simple yet highly efficient theme, professionally designed for legal offices, advocates, barristers at law etc. 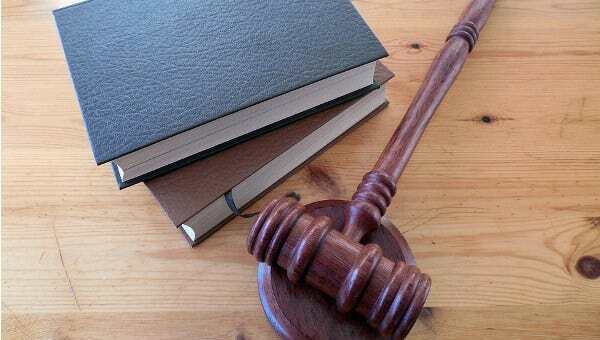 The theme has sections to include legal awards, accolades, areas of practice, highlighted case summaries etc. It comes with sliders, working contact form, optional notification message bar and much more. Download it now! 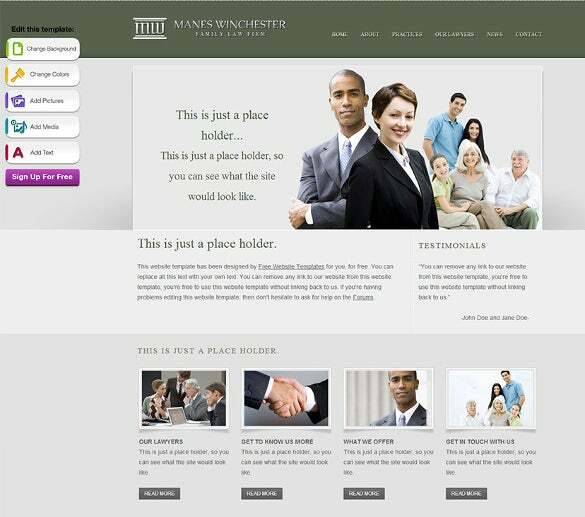 You can select the font and the colors and even add your companies’ logo on the website with these top notch templates. 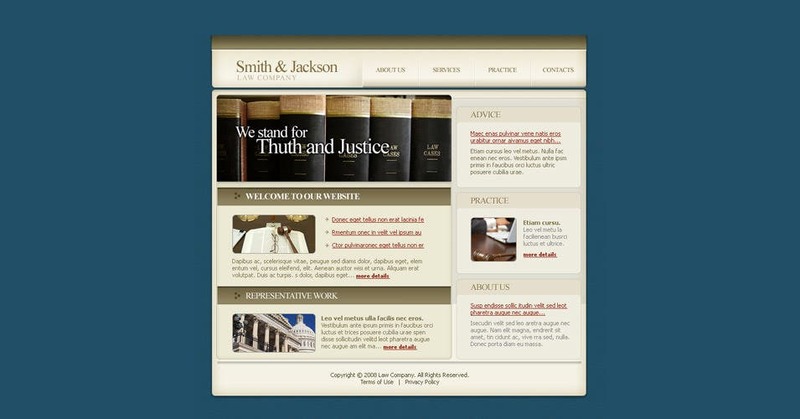 These give the site a professional and crisp look. Give a motivating thought on your front page which will introduce your firm to the viewers, that’s another great feature which is present in these templates. They are free and easy to use. You can find numerous website templates suited for your tastes ready for download online.All you need to do is select which one you need and then go for it. 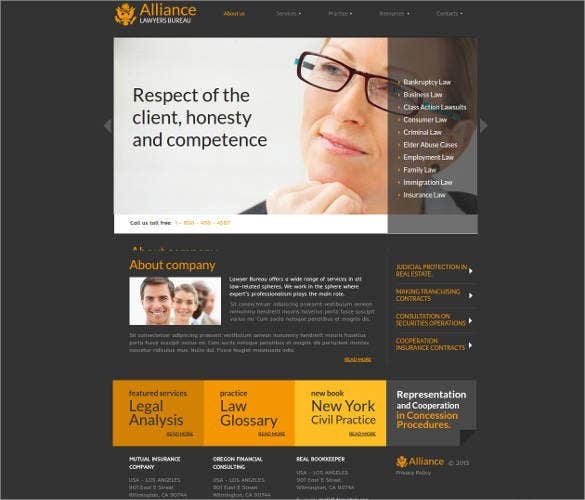 These templates will make your clients believe in your firm with the premium business look you will offer. 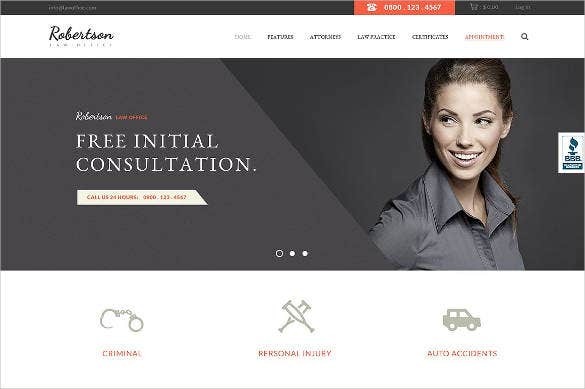 So make most of these templates by customizing your website today and increasing your client list. 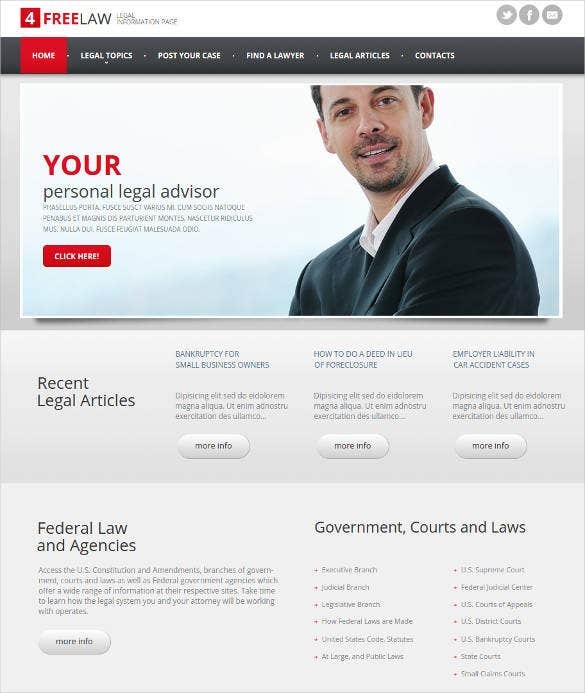 You can look Drupal Lawyer Templates.